What is Difference Between Retainers and Invisalign? This article will tell you everything you need to know about Invisalign and retainers and the difference between them. Everyone wants a perfect, pearly white smile. In addition to aesthetics, having straight teeth can be important to your dental health. Having an even bite and wear pattern can help prevent jaw pain and uneven wear and tear on your teeth. Cosmetic dentistry is an ever growing field with many options to help you achieve your perfect, healthy smile with retainers and invisalign. Invisalign is a system of custom made aligner trays used to gradually shift teeth to their desired location. You will visit your dental team and have custom X-rays and molds taken and discuss a strategy to getting the results you are looking for. Once you and your dentist have established a treatment plan your molds and plan are sent to Invisalign where custom trays are created. The trays are called aligners. Aligner trays are removable but need to be worn approximately 22 hours a day. 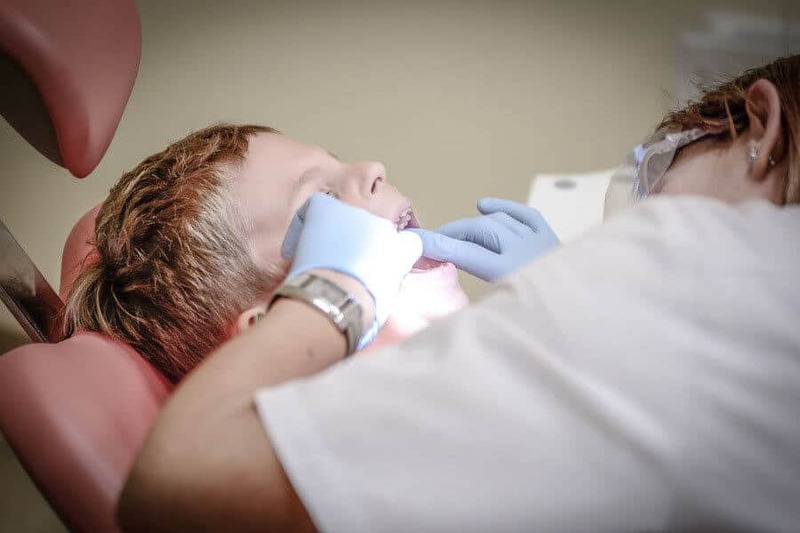 You will change trays approximately every two weeks and will need to visit your dental professional every 4 to 6 weeks to check on your progress. There are many benefits to this system. Aligner trays are tooth colored and barely noticeable to those around you. This means you do not need to feel self-conscious about wearing them. This system is also easily removable so you are not limited in terms of what you can eat. You can take your aligner tray out to chew gum or have some popcorn if you feel like it. In addition, because they’re removable you may not experience the same soreness or tenderness that you would with traditional braces. It’s important to care for your Invisalign trays as directed. If you forgot even once to take out your aligner tray or brush your teeth after drinking coffee or tea you can stain your tray. Once your aligner tray is stained it will be apparent to everyone that you are wearing it. You will be stuck with the discoloration until it is time to change to the next tray. In addition, Invisalign needs to be worn around 22 hours a day. Because they are easily removable it may be easy to forget to put your tray back in after a meal. If you do not use the system as directed it may take much longer to achieve the desired result. The more time and effort needed the more expenses you can incur. Retainers are custom made and are used to hold your teeth in place. Some retainers are made out of the same material as the Invisalign trays so it is easy to get the two confused. Retainers can be made out of different materials including strong plastic, metal and acrylic. The primary difference between retainers and Invisalign is the purpose of each. While Invisalign is used to straighten and adjust your teeth, retainers are used to hold your teeth in place after they have been shifted. After completing any teeth straightening process, your teeth can slowly move back to their original positions without the help of retainers. Retainers and invisalign can be used, one after the other, to make up a long term dental plan. Invisalign does the straightening while a retainer will maintain all the work that has been done. Retainers are typically worn only at night while you sleep. They are customized to fit your teeth after you have completed the straightening process, and need to be worn consistently in order to be effective. It is important to properly care for your retainer. Most retainers will need to be cleaned and brushed similar to your teeth. Use a soft bristle toothbrush, a pea size amount of toothpaste and warm water to clean your retainer once a day. This will not work for all types of retainers so be sure to consult with your dentist regarding proper care. You will need to make sure to keep your retainer clean to maintain optimum oral health. Retainers are a fairly simple way to maintain your newly straightened teeth. They are custom fit to your mouth and shouldn’t cause a lot of discomfort. They are easy to use and shouldn’t cause anything more than a minor disruption to your regular routine. Similar to Invisalign trays, retainers can be easily removed. While this is convenient it also means they are easy to misplace. If you lose your retainer make certain you get another one as soon as possible. This will mean an additional expense, but the longer you go without a retainer the more likely your teeth are to shift. If you don’t use your retainer as directed, you risk losing all the improvements your dental plan has achieved. A skilled dentist will be able to thoroughly answer any of your questions regarding how to achieve the most attractive and healthiest smile with the help of retainers and invisalign. We are happy to help you with any of your dental needs from giving teeth whitening facts to explaining how dental bonding works in the process of bridges and crowns. We are here to work with you to determine and develop a successful treatment plan and then execute that plan flawlessly. Retainers and Invisalign together make up a viable treatment plan for many. While they are often mistaken for one another they are actually two important pieces that should be partnered together for the best long term success. ← Can Teeth Whitening Damage Your Teeth?